International door and hardware manufacturer ASSA ABLOY had been making significant strides in environmental stewardship and was ready for its own clean energy installation. But there was a problem — the selected site had difficult topography, with slopes as steep as 20 percent in some areas. The cost and time associated with grading the site could have stopped the project in its tracks, as no other site was available on the property. Standard racking systems can require significant grading when the site slope exceeds 7 degrees, creating cost challenges that could hinder the ROI on the deal, making project financing extremely difficult. Rolling topography meant that either multiple rack types would need to be used (not a feasible solution), or the entire site would have to be graded to the same level (an expensive solution). A racking system that could accommodate different types of terrain while still delivering uniform installation and performance was an absolute necessity. 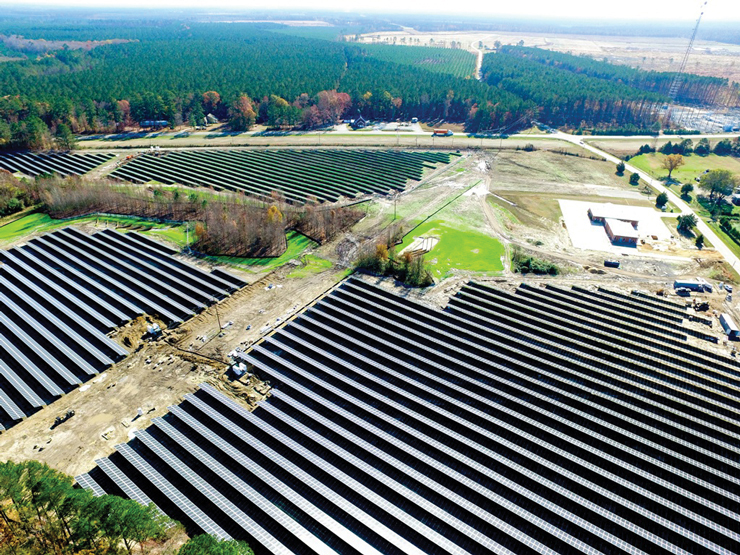 DCE Solar’s Contour DB system was the best choice for this scenario due to its flexibility and ability to accommodate a greater degree of topographical changes. The Contour DB (driven beam) and Contour GS (ground screw) are economical ground-mount products between the material, installation and lower cost wiring methods. As a continuously connected system, this design minimizes the number of foundations. Minimal foundations means fewer connections, resulting in reduced hardware and installation costs. Grading the site would have cost upward of $75,000. This savings was applied directly to the job cost, offsetting 50 percent of the cost of the racking system just by selecting the Contour DB. 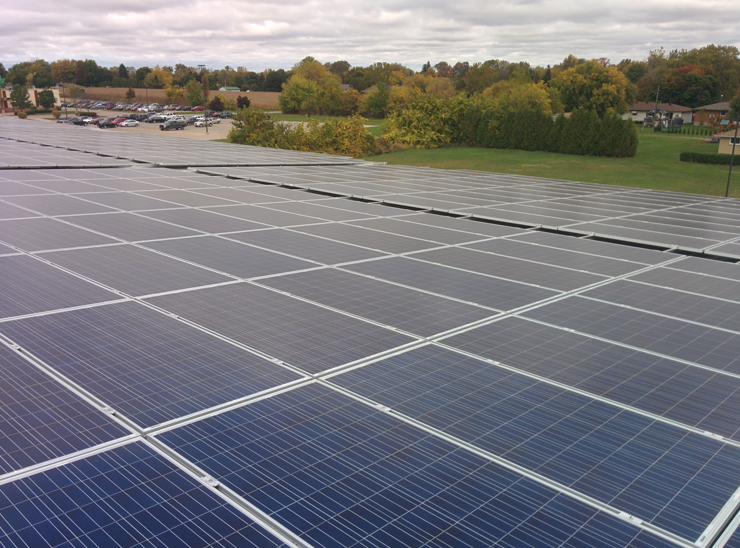 The quicker installation compared against one that included grading the site allowed ASSA ABLOY to start utilizing lower-cost clean energy sooner. One thing the solar panel installer didn’t realize before getting out to the jobsite is that the profile of a corrugated metal roof changes over time. 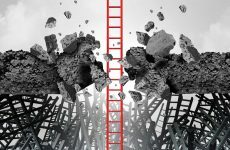 The peaks and valleys don’t retain their shape as the roof begins to sag with age. It’s difficult to find the right metal attachment to fit this specific metal roof profile. SunModo’s RidgeBridge Mount can handle corrugated roof peak height variation. The RidgeBridge Mount is supplied with durable EPDM water resistant gaskets, and EPDM filler gaskets if needed, which allows the installer to compensate for peak-to-peak variations along the roof. The RidgeBridge also has the flexibility to be installed directly into the rafter using a 5/16 in. lag screw or firmly attach to the purlin or roof decking with the use of two self-tapping screws. With different bracket sizes and gasket types, SunModo’s RidgeBridge Metal Roof Mount can fit 90 percent of all rolled metal roof profiles. As part of a portfolio of projects with Ecoplexus, this array on Bradley Road in Snow Hill, N.C., had a high water table along with extremely low bearing load soils. 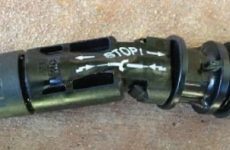 AP Alternatives’ shallow helical anchors were able to hold the loads even in the poor soil conditions. To combat the high water table, a 6-in. helix at 32-in. deep was utilized. 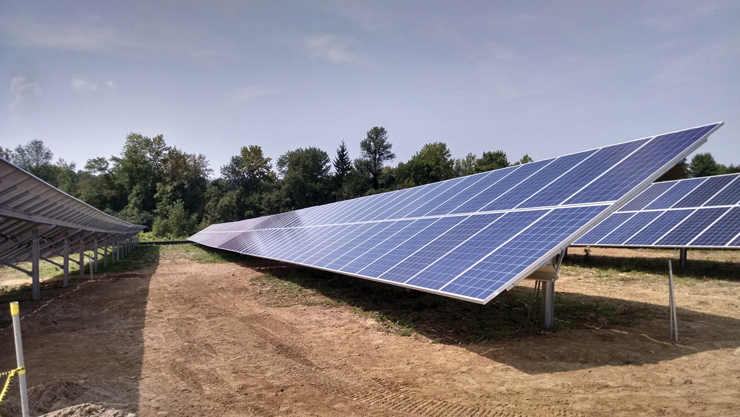 The company’s Advanced Modular ground-mount system is perfect for large commercial and utility-scale solar projects. Its prepanelized cartridges allow for rapid installation in the field and drastically reduce labor costs in high wage areas. The racking is fully preassembled and includes module installation with grounding prior to site delivery. Engineered cross bracing, high strength steel and anchor testing on every site makes it one of the most rigid systems on the market. The system is designed specifically for high snow load and high wind areas. When post installation began on the site numerous posts were hitting refusals. The inconsistency of the soils at the site would require multiple solutions. In order to keep the project on an important deadline, action and resolution needed to be achieved quickly. The problem was identified onsite on a Friday. Solar FlexRack responded by overnighting pull test equipment and mobilizing a crew to perform pull testing onsite on Saturday. The data and information was being communicated with Solar FlexRack Director of Engineering and Geotechnical Engineer as it was collected. Based on the results of the testing and analysis the SFR Engineering team was able to determine multiple solutions for the varying conditions resulting in the most cost effective and timely solution to the issues. The stamped alternate designs were implemented on that Monday. The quick mobilization, on site pull testing, and analysis allowed the project to stay on schedule with minimal impact to the client. The project was therefore completed on budget and on time. The FlexRack Series G3-X fixed-tilt racking system from Solar FlexRack is a custom, precision-engineered system designed to reduce project costs by optimizing materials and reducing labor and logistics costs in the field. The G3-X can accommodate any module type, is available in portrait or landscape, and offers integrated bonding and wire management. The system is also designed to handle various site conditions by being able to accommodate up to a 20 percent slope in the east-west direction and can be mounted to any type of foundation. Flush mount layout for pitched metal roof and low-tilt, low-ballast mounting for a flat roof section where a high roof density system was required in an area with considerable snow load. HB Solar designed and delivered its SKYRACK flush-mount rail-based racking for the pitched metal roof with aisles and walkways for easy O&M access. For the low ballast system, BLOCKMOUNT2 was used with the modules oriented in portrait with module clamping in the green zone to provide superior module support for the local snow loads. The building manager is a long-time employee who has reported significant energy savings as a result of the PV system acting as a second skin on the building, increasing efficiency. 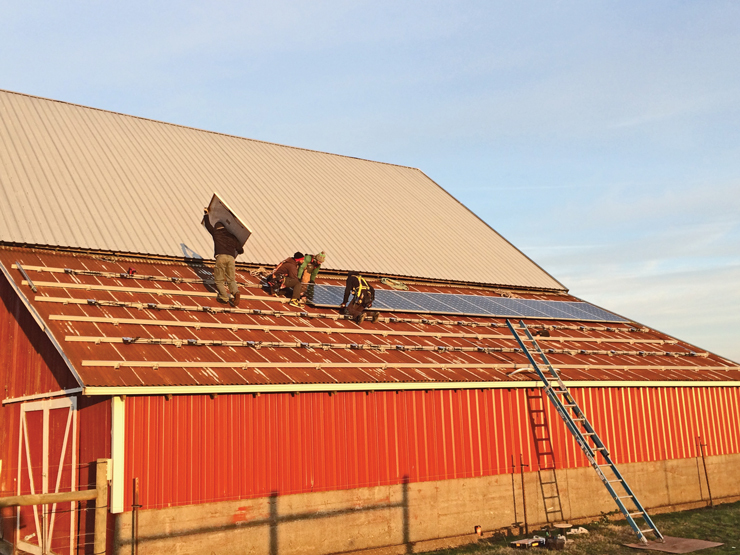 Essex Energy determined that a PV array should be installed in the town of Tecumseh, and the Tecumseh Arena was the logical choice to play host to the PV system as it is the largest municipal rooftop area available in the town and is also the town’s single largest user of electricity. The trick would be installing without a single penetration of the roof or voiding any roof warranties, which was a big concern. Plus, it needed to be extremely cost effective. Between S-5!, the panel manufacturer and Essex Energy’s engineers, a unique design was implemented. Over 6,000 of the S-5! U Mini clamps and PV Kits were utilized to complete the installation, which requires no roof penetration. A 14-in. walkway was incorporated between every second row of panels, while still maximizing the number of panels installed. The walkways allow for easy navigation without having to walk across panels, facilitates easy roof inspection and maintenance and essentially makes every panel easily accessible. The flexibility in the application of the S-5! products was key in allowing this design consideration. Their light weight, low cost and ease of installation afforded the project tremendous savings and improved economic and financial performances across the board. 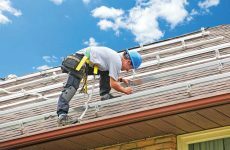 The S-5-PV Kit is one of the first solar module mounting solutions in the industry to be listed to the new UL subject 2703, and an ETL listing to UL 1703. The S-5-PV Kit’s stainless steel mounting disk has 12 nodes designed to ensure the module-to-module conductivity of anodized aluminum module frames.